For use on Golf, Sports Fields and High Traffic areas. 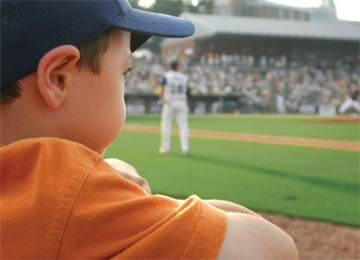 Ever walked onto a sports field with more bare spots than sod? Or slid and burned your skin on a stretch of non-natural turf? Either way, you can recognize the importance of scientifically formulated natural grass bred to stay soft, green and hardy while withstanding the full force of professional athletes in motion. It’s a unique blend we call BioPlay. It’s the safest surface for athletes. Ask most professional football players if they prefer natural grass over non-natural turf and they’ll answer “absolutely.” Some even believe non-natural turf can end a career early. That’s because it can increase pressure on joints and bones, resulting in sprains and more serious injuries. It can also harbor harmful bacteria that can enter the body through a seemingly minor turf burn and result in a possibly life-threatening infection. 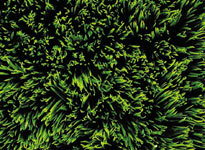 At the same time, BioPlay natural grass provides a forgiving surface that cleans and regenerates on its own, consistently creating a new field for everyone’s enjoyment. And all-natural BioPlay’s “good” bacteria easily break down the blood, sweat and tears athletes bring to the field in every game. It’s scientifically formulated for sports fields. Exclusive seed mixes. Precise horticultural practices. Top turf scientists. 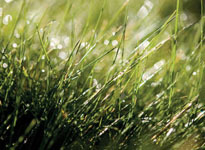 It all adds up to BioPlay: High-quality natural sod that grows quickly, withstands wear and tear, maintains a deep, durable root system ? 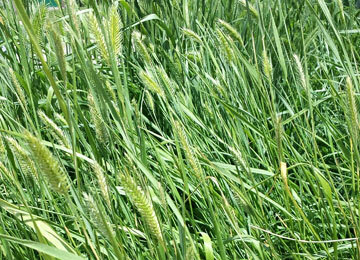 and is carefully grown and harvested to strict sports-field specifications. That means you don’t have to flinch when a new team’s cleats hit the field. It also means that a little rain won’t turn your game on BioPlay into a mud-wrestling match. It stays cool – and beautiful . And then some. Did you know non-natural turf can get so hot in the summer sun that it can actually burn a player on the field? Fortunately, BioPlay’s built-in cooling mechanisms continually pull water through its blades into the air to maintain reasonable temperatures. And speaking of air, BioPlay absorbs airborne pollutants to improve the stuff we’re breathing both on and off the field. 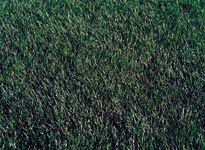 It also has an exceptionally rich, green color and a fine leaf texture for a uniform appearance. And, of course, everybody loves its fresh-cut smell. There are plenty of reasons why pro football players – and many other athletes – prefer natural grass. Blend the latest in natural turf science with proper maintenance and you have the best outdoor sports surface money can buy. We call it BioPlay. You’ll cal it the ultimate field for even punishing play. 0 - 299 - sq. ft. $ 0.60 - sq. ft.
300 - 1499 - sq. ft. $ 0.50 - sq. ft.
1500 - 4999 - sq. ft. $ 0.50 - sq. ft.
5000 - 6999 - sq. ft. $ 0.49 - sq. ft.
7000 - 8999 - sq. ft. $ 0.48 - sq. ft.
9000 - 10999 - sq. ft. $ 0.47 - sq. ft.
11000 - 99999 - sq. ft. $ 0.46 - sq. ft.